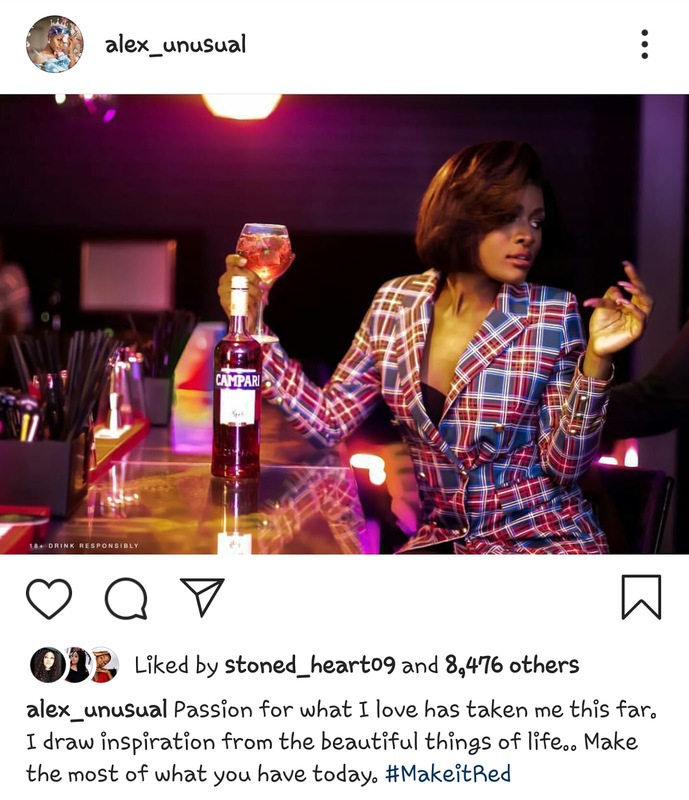 Reality TV star Alex Unusual who has been off Instagram for almost a week has finally reactivated her account unveiling herself as Campari's Latest Brand Ambassador. 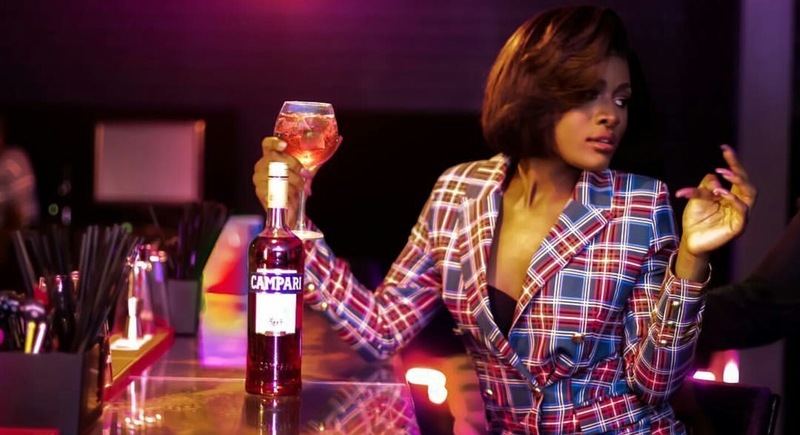 She has joined Legendary singer, 2face, in becoming the brand ambassador of Italian liqueur brand, Campari. She made a comeback worth admiring.